I first entered the official full-time working work back in 2008 after I relocated to Boston and took a job with an über creative ad agency, called Modernista! I poured almost every waking minute into that job and later took another opportunity at a smaller firm where I stayed for a little over two years. Maybe it's the millennial in me that's coming out, but I felt that there was more to life that climbing the corporate ladder. All throughout high school, did the right actions to get into a decent college. During college, I did the same to land a job in my field. But when I finally landed that first professional job, I remember feeling like everything came to a screeching halt. What was I working toward? A promotion? More money? How was I going to make a difference? All along the way, I continuously had these thoughts questioning how I would do things differently if the company I was working at were my company. There was always a little inkling that I wanted to own my own business someday. I spent a lot of my free time researching business models and I even took an entrepreneurship course. Truth be told, I spent a lot of time talking about it and not a lot of real action (terribly annoying, I know). But I was clueless about what to do, I didn't see a clear path to take action. It got to the point where someone once said to me, 'come back and talk to me after you've actually started your business' and it hit me that I needed to just get to work. That year for Christmas, I was inspired by my mom's craftiness to make handmade gifts for some friends. I didn't want it to be tacky, so I really was trying to step up my game. My mom had recently learned about candle-making and had taught me how to do it. My friends became the guinea pigs that year and those hand-poured scented candles were made by transforming vintage glass bowls as the containers. The gifts were really well received. And what I mean by that, is that they actually didn't believe I made them myself - LOL! It dawned on me that this might be the craft that can fulfill my business ownership desires. 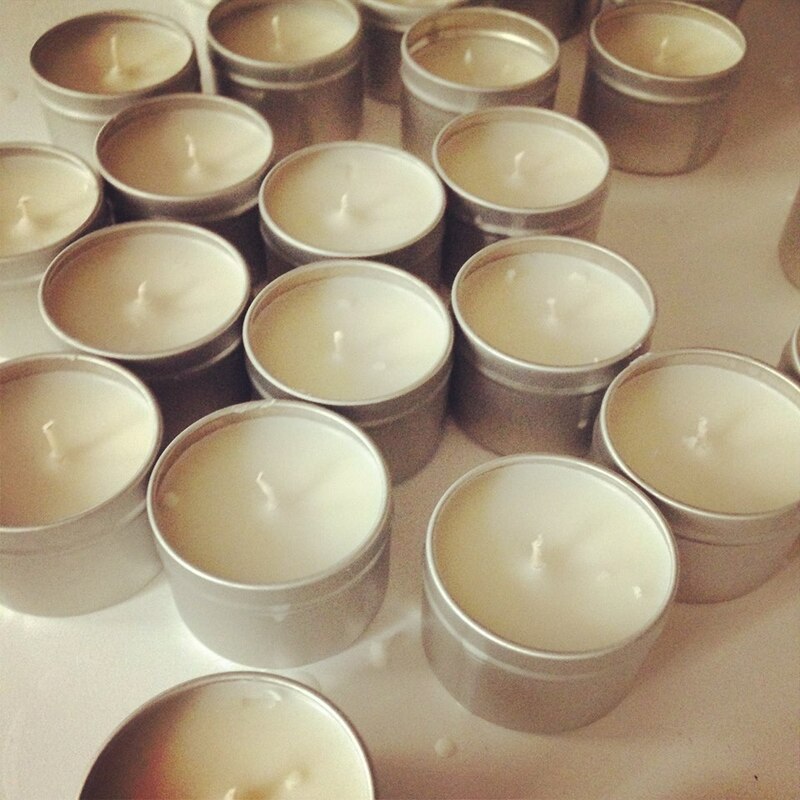 And then, Wicked Candle was born. 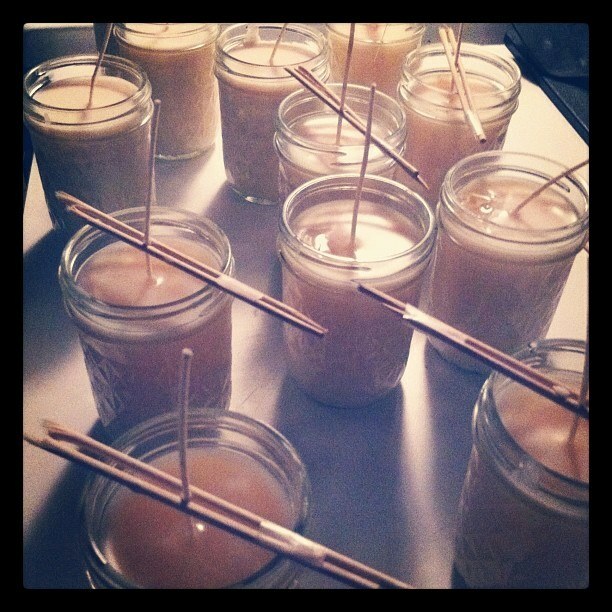 More about the early beginnings of Wicked Candle in Part III. In the meantime, if you had any kind of similar desires about business ownership, keep reading! Why become a business owner? We don't want a boss. Well, technically you are always accountable to someone whether it's your clients, investors, staff or even if you do still have a boss in your day-job. But as a small business owner, you have the flexibility to determine how you want to work and the ultimate pathway for your career. We don't like ceilings. In corporate or more traditional work settings, there can often be glass ceilings placed above our heads that mark how much money we can make. When you work for yourself, the sky is the limit. You can earn as much as you are driven to make, in the timeframe that you dedicate toward earning it. I personally have found that while I was able to live comfortably with my day-job, by starting my Wicked Candle side hustle I was able to earn more money than waiting for my next promotion/ raise opportunity. We are used to wearing tons of hats -- and we like it. Sometimes more traditional corporate career paths tend to be linear and don't always provide options to rotate through a variety of roles within the firm. When you own your own business, it's kind of a necessity! Many times, specially for solo-preneurs, you are the owner, operator, accounts payable, accounts receivable, project manager, customer service, janitor, etc., etc. We like this variety and want more of it (until our business starts to scale, of course! read more about the business lifecycle here). We are passionate. Approximately 62% of small business owners surveyed by Constant Contact indicated that the ability to pursue their passion was one of the key benefits to business ownership. Not only are we passionate, but we make a difference too. Roughly 50% of all jobs in the US are with companies that have fewer than 500 employees. Have you made the leap to business ownership? What prompted you to do this? What sacrifices have you had to make?